As we kick off another year, Team TPG has gotten together to muse over the epic trips various team members have taken in 2015, and to look forward to what the new year has to offer. Special Contributor Eric Rosen has rounded up the list of destinations (in no particular order) that we’re all hoping to travel to in 2016 and beyond. 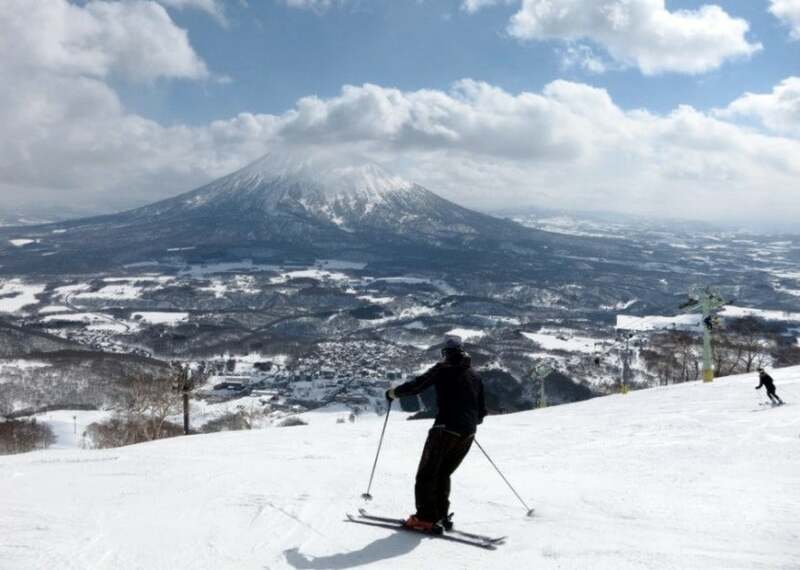 Visitors flock to Hokkaido’s Niseko region to ski in the shadow of Mt. Yotei. Image courtesy of Shutterstock. Though it’s Japan’s second-largest island and makes up about a quarter of the country’s landmass, Hokkaido is home to just less than 5% of the population. Instead of sprawling cities and megamalls, the island hearkens back to Japan’s feudal past, with volcanic mountain ranges, vast forests and traditional villages. Its relative isolation is about to end, however, thanks to the imminent opening of a 33-mile-long tunnel connecting it to Honshu so that the country’s iconic Shinkansen bullet train can deposit visitors in the southern city of Hakodate just four hours after they board in Tokyo. 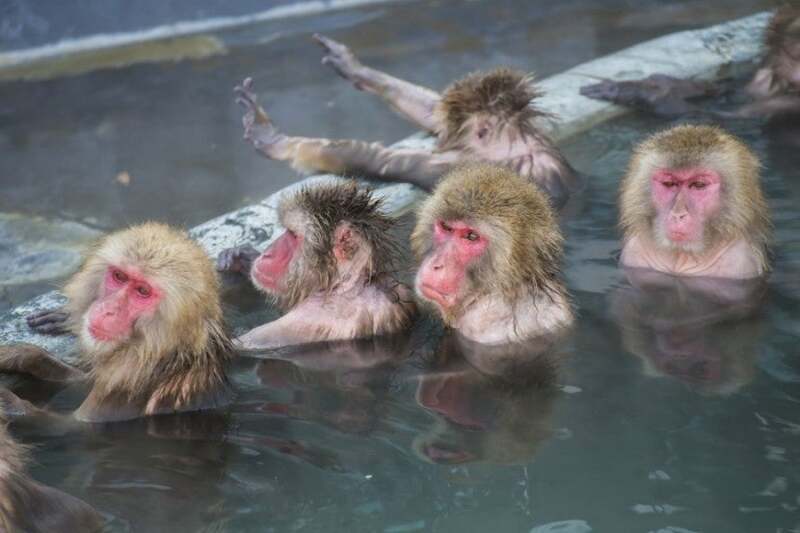 Soak in a hot spring in Hakodate with the snow monkeys. Image courtesy of Shutterstock. Though the island is beautiful and mild in summer, winter is the real attraction thanks to some of the most reliable snowfall on earth. The capital of Sapporo has a few sights, including the historic Sapporo Brewery and the Hokkaido Museum of Modern Art, but most folks head out to the snowy slopes of Niseko and Mount Yotei. The snow here falls fast and deep; according to ski bums and bunnies, it’s powdery-perfect. For now, there are still just a few hotel options including the charming inn-style Kimamaya by Odin, but you can expect that to change when the bullet train begins service. If you do get there before then, be sure to plan at least a day in and around Hakodate to soak in the Yunokawa hot springs with the snow monkeys. For ideas on how to get to Japan, check out this post, How to Use Airline Miles for Award Travel to Tokyo. 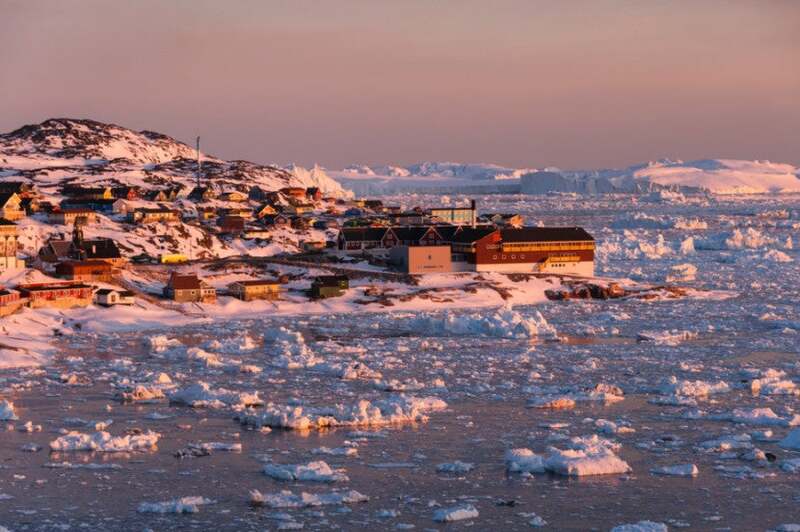 Come to Greenland in summer to experience the midnight sun in Ilulissat. Image courtesy of Shutterstock. Long thought of as one of the world’s most inaccessible destinations, Greenland is having a moment. In March, its capital of Nuuk will host the Arctic Winter Games, and this year’s Northern Lights are supposed to be among the best in recent memory (September-April is the best time to catch them) before the phenomenon experiences a cyclical downturn. Though the dark days of winter would be a challenge for any traveler, the (relatively) warmer months are ideal for nature activities like glacier hiking, dog sledding on the tundra, snowmobiling, whale-watching and more. 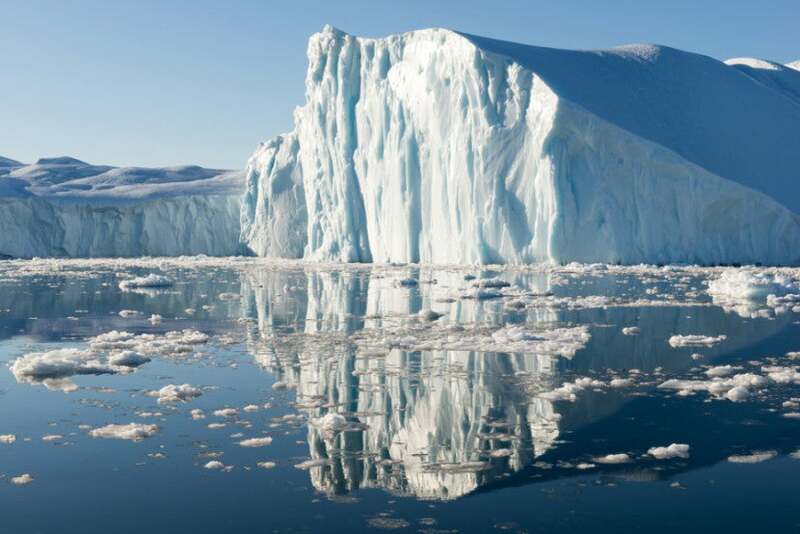 Float among the icebergs of Greenland’s Disko Bay. Image courtesy of Shutterstock. The town of Ilulissat has beautiful, brightly painted buildings and is a great jumping-off point for hiking trails around the nearby fjords. The cuisine scene here is also more exciting than ever, with restaurants like Restaurant Ulo in Ilulissat offering fjord-to-table fish and seafood, as well as land-based produce and proteins. Wondering how to get there? Catch a flight to Reykjavik or Copenhagen and connect from there on Air Greenland or Air Iceland (not to be confused with Icelandair). Uruguay’s once-sleepy capital of Montevideo is buzzing. Image courtesy of Shutterstock. Once considered a backwater (and tax haven), this little South American country sandwiched between Argentina and Brazil is back on the map. 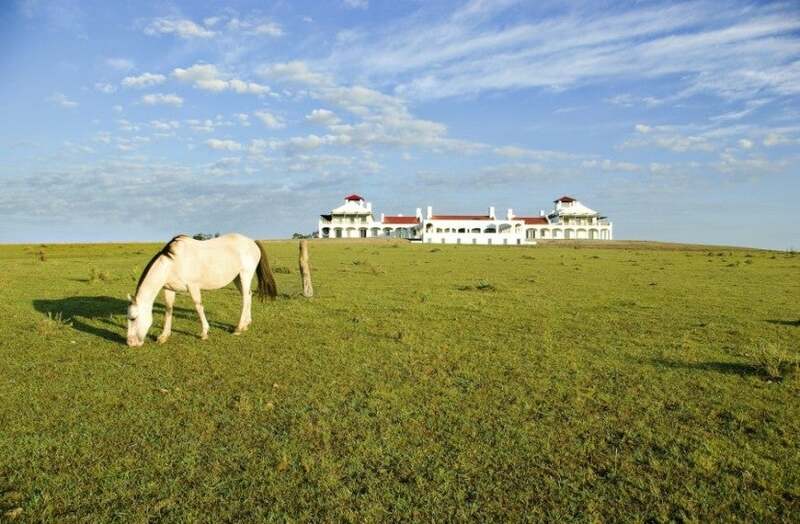 This is thanks to some renewed interest in its sunny capital, Montevideo, new luxury developments in seaside towns like Punta del Este and José Ignacio, a growing wine industry and pastoral pampas perfect for horseback adventures. Get out on the pampas like a gaucho at Estancia Vik. Image courtesy of Estancia Vik. The 17th-century town of Colonia del Sacramento has long been a favorite with daytrippers from Buenos Aires and Montevideo. However, the country is also home to one of the world’s newest national parks, Esteros de Farrapos, which was established in an island-dotted stretch of the Uruguay River, and is home to more than 200 species of birds. For a gaucho experience, try an excursion at El Charabon in the eastern part of the country, or opt for the more upscale version at luxury ranch Estancia Vik. Nearby in José Ignacio, you’ll find its two sister properties, Playa Vik and Bahia Vik, for a more beachy experience. For more information, check out this post, 3 Uruguayan Vacations You Can Book With Points and Miles. Visit Botswana’s unique Okavango Delta for some of the world’s best safari experiences. Image courtesy of Botswana Tourism. Among the most stable of southern African nations with a bustling economy and a vibrant, productive civil society, Botswana is celebrating the 50th anniversary of its independence this year. 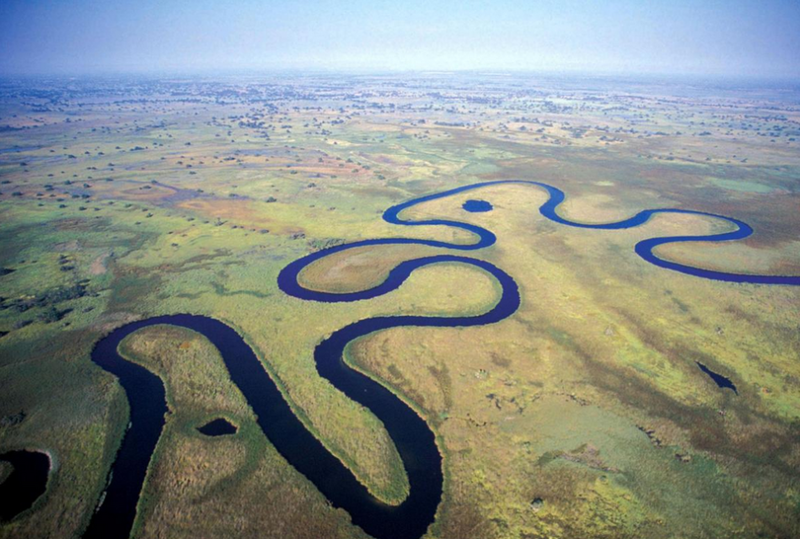 In the past few years, its stunning Okavango Delta region has become one of the world’s premier safari destinations. The area was listed by UNESCO back in 2014, and visitors have been flocking here to see the big five game animals as well as more unusual species including more than 60 kinds of reptile and 400 bird species as they paddle the waterways in dugout canoes. Go between June and August for wet season and boat safaris through its myriad channels. 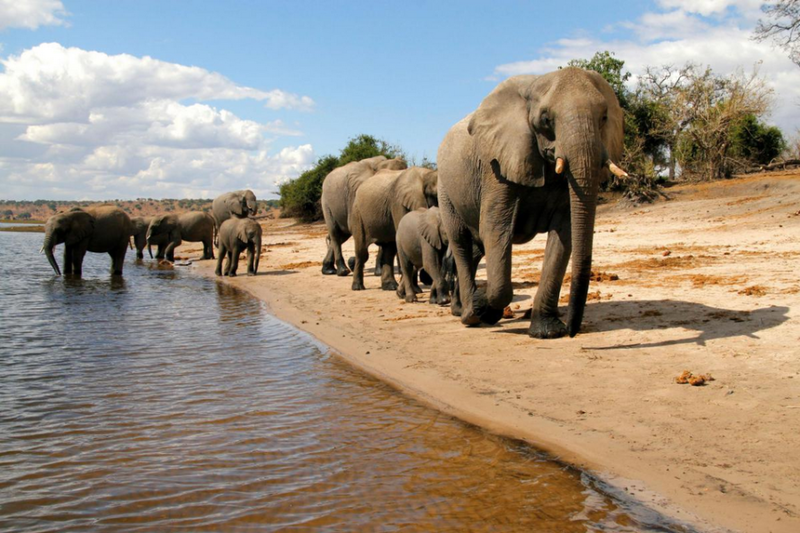 Head to the Chobe River region to see the enormous herds of elephants. Image courtesy of Botswana Tourism. On the opposite end of the spectrum, there’s the Central Kalahari Game Reserve, which was established back in 1961. It’s part of the immense desert from which it gets its name, and you might catch a glimpse of a cheetah as well as lions and leopards here. The less popular (so far) northern part of the country is home the capital of Gaborone, with a great National Museum and Gallery celebrating traditional crafts, a town called Kanye (just to visit! ), the Mokolodi Nature Reserve and Chobe National Park. For more information, check out this post, Under-The-Radar Safari Destinations: Botswana. 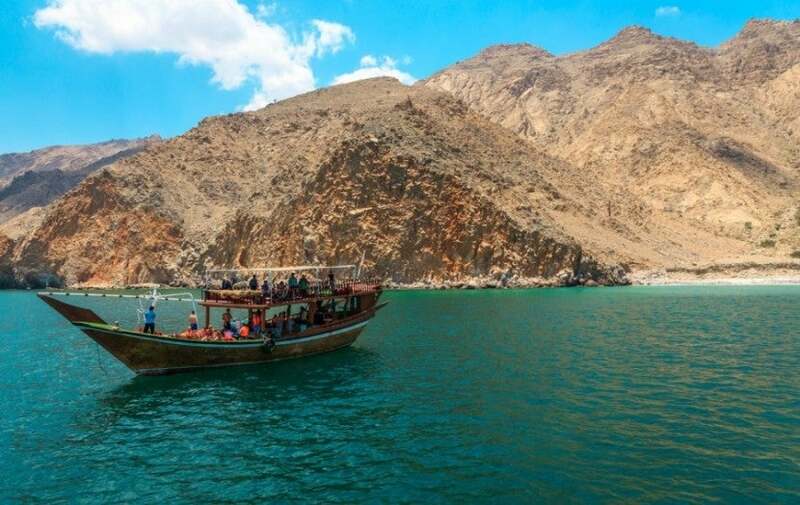 Take a dhow cruise through the jaw-dropping desert fjords of Oman. Image courtesy of Shutterstock. You might think of Norway when it comes to fjords, but there are also desert fjords in this dramatic peninsula that’s part of Oman, but is separated from the main part of the country by a sliver of the UAE. The inlets here are called khors, and visitors can cruise them in traditional dhow boats. The western side of the peninsula makes a great day trip from Dubai (it’s just about a 90-minute drive), and you can snorkel the coves and reefs here with whale sharks and hundreds of other species of fish and marine life. Just beware of jellyfish season from November to April. 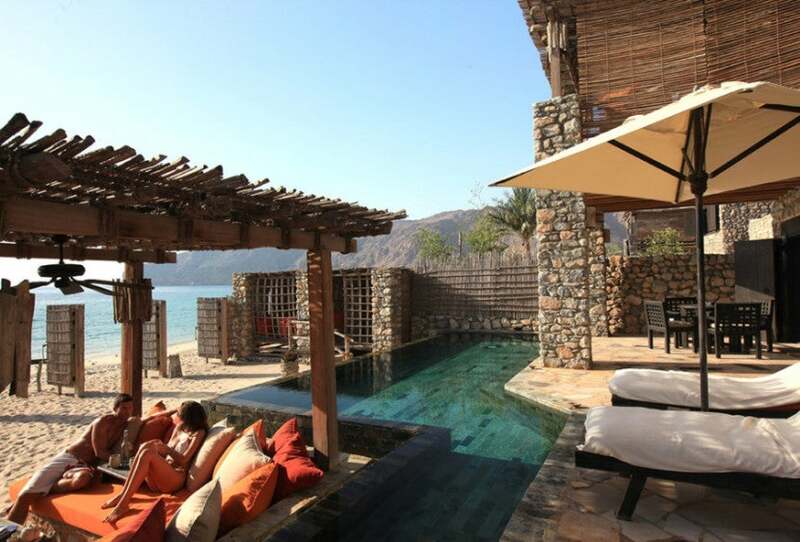 Splurge on a stay at the Six Senses Zighy Bay. Image courtesy of Six Senses. The more isolated eastern side (another easy drive thanks to new highways) offers unspoiled beaches, traditional fishing villages and all the aquatic adventures you could want, from snorkeling and scuba to sailing and kayaking. For a splurge, book a stay at the Six Senses Resort at Zighy Bay. With the Olympics in August, this is the year to get down to Rio. With the Rio Olympics coming in August, 2016 is a great time to visit Brazil. You might not make it down there for the Games (and if you do plan to go, you better start making your reservations and working on getting a visa ASAP! ), but that’s no reason not to take advantage of the amazing airfare deals that come along periodically from the US to Rio and other cities. Pelourinho in Bahia was colonial Brazil’s first capital. Image courtesy of Shutterstock. Of course, Rio needs no introduction, but consider adding on to your trip with visits to sophisticated (and sprawling!) São Paulo, as well as the sandy and uncrowded beaches of Rio Grande do Norte, colonial towns including jungly Ouro Preto, the Pelourinho district of Salvador in Bahia, which was Brazil’s first capital (and one of the oldest cities in the New World) and cobblestoned Paraty. Brazil is easier to get to from the US than ever, with flights on American, Delta and United, as well LAN’s subsidiary, TAM. For more information, check out Destination of the Week: Rio de Janeiro and 10 Photos: Rio de Janeiro. Dublin is commemorating the centennial of the Easter 1916 Uprising this year. Image by Zach Honig. 2016 marks the centennial of the Easter Rising of 1916 and Ireland’s independence, so you can bet there’s a whole program (or programme?) of festivities and commemorations scheduled throughout the entire year, with most taking place in the capital. Among the special events are a major exhibition of 1916 archival material at the National Museum of Ireland in the Collins Barracks and a parade from Dublin Castle to Parnell Square on Easter Sunday. 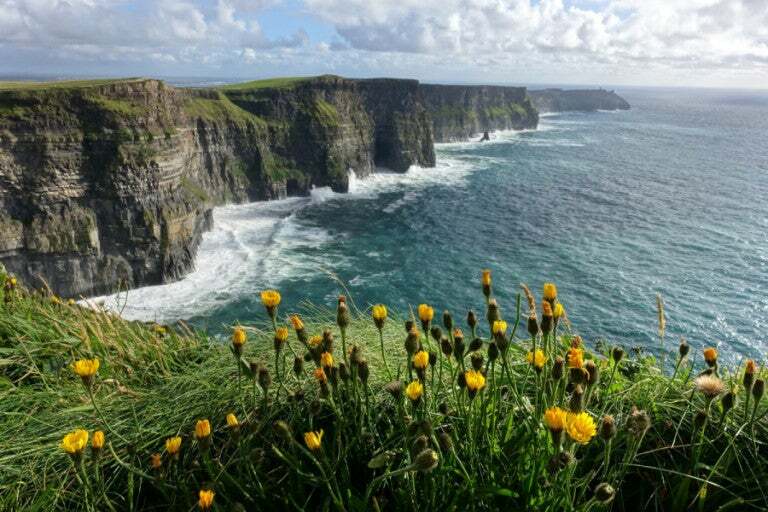 Take some time to get out of the city and visit spectacular sights like the Cliffs of Moher. Image by Zach Honig. 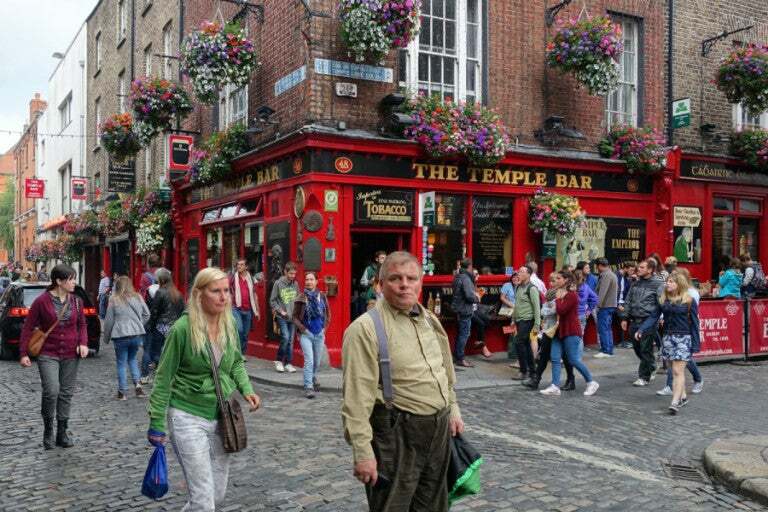 Ireland is a great transit point to the rest of Europe thanks to connections on Aer Lingus (which you can use your United miles or British Airways Avios to fly). Plus, flying through here instead of London or Paris is a great way to save on taxes and fuel surcharges on award tickets to Europe. Not only that, but with a strong US dollar, the exchange rate with the euro is quite favorable at the moment, meaning a trip here won’t break the bank. For more information, be sure to check out our posts, Destination of the Week: Dublin, Three Tips to Maximize Award Travel to Ireland and 10 Photos: The Unrivaled Beauty of Ireland in Summer. Visit the famous dragons on Indonesia’s Komodo and Rinca Islands. Image courtesy of Shutterstock. You might have already hit Jakarta and Bali, but the Indonesian archipelago is comprised of nearly 20,000 islands by some estimates, with a total landmass of more than 700,000 square miles. So there’s a lot to explore. Visitors can swim with enormous manta rays in the Derawan archipelago or see the famous komodo dragons on Rinca and Komodo Islands by taking a boat from Flores. Venture to more remote spots to snorkel the pristine coral reefs of Pulau Bunaken, or climb towering (and volcanic) Mount Rinjani on Lombok. 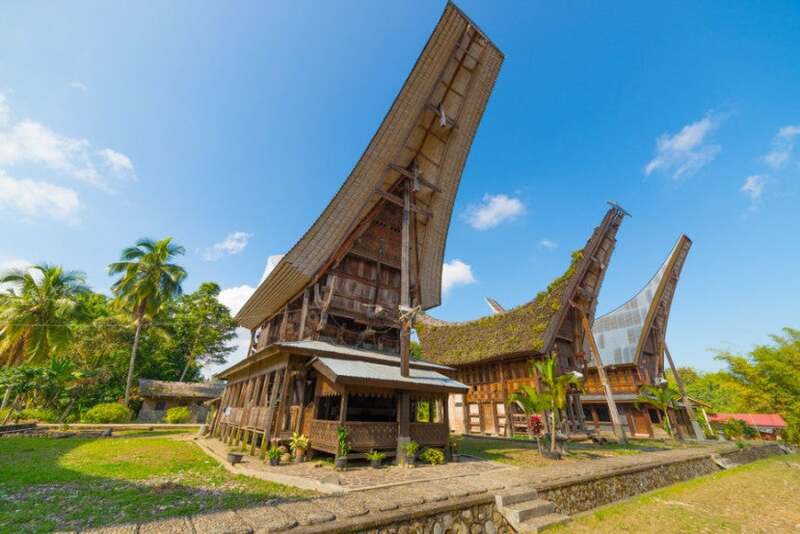 The famous boat-shaped houses of the Toraja people of Sulawesi. Image courtesy of Shutterstock. Yogyakarta on Java is the nation’s cultural gem thanks to a thriving heritage of arts and crafts, as well as millennial landmarks like the temples at Borobudur and the Angkor-like spires of Prambanan. Take a river boat through Tanjung National Park and hang out with the gentle orangutans of Borneo or surf some of the world’s best breaks off Sumatra’s west coast. On Sulawesi, pay a visit (and your respects) to the Toraja tribes, who are famous for their days-long funeral ceremonies and boat-shaped houses. Or swim with the blooms of harmless golden jellyfish of Kakaban. The list of adventures you can have is only limited by your time frame. A panorama of Slovenia’s breathtaking Lake Bled. Image courtesy of Slovenia Tourism. Many folks might not be able to point out Slovenia on a map, but that’s no reason to miss it. This tiny nation of just two million is actually an EU member and is surrounded by countries including Italy, Austria, Hungary and Croatia, though it certainly has its own national culture that’s a mix of all of those and more. You can drive across the whole country in about three hours, but its landscapes vary from sunny Adriatic coastline to rolling Tuscany-like vineyards, and from jagged Alpine peaks (through which you can whitewater raft on turquoise mountain streams) to gentle and powdery ski slopes and Hapsburg-era spa towns in the east. The red roofs of Slovenia’s charming capital, Ljubljana. Image courtesy of Slovenia Tourism. 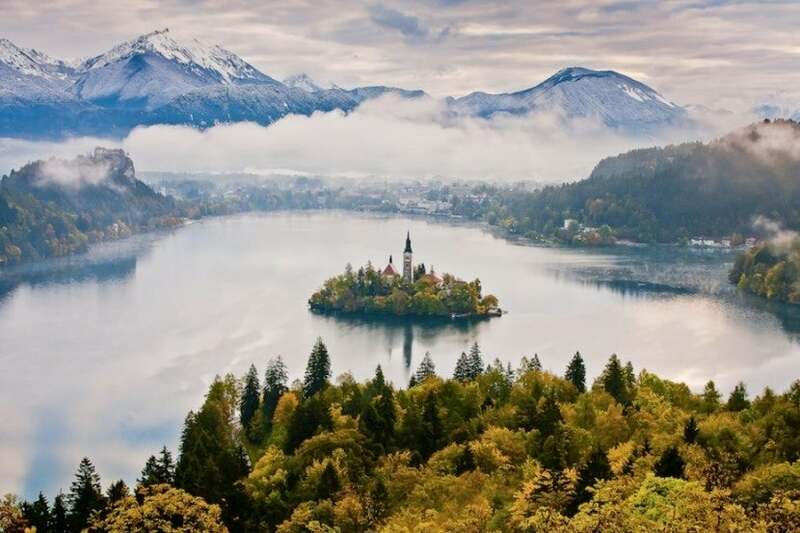 Its most famous sight is probably bucolic Lake Bled, with a dramatic cliff-top castle and an island in the middle of it topped with a picture-perfect chapel. 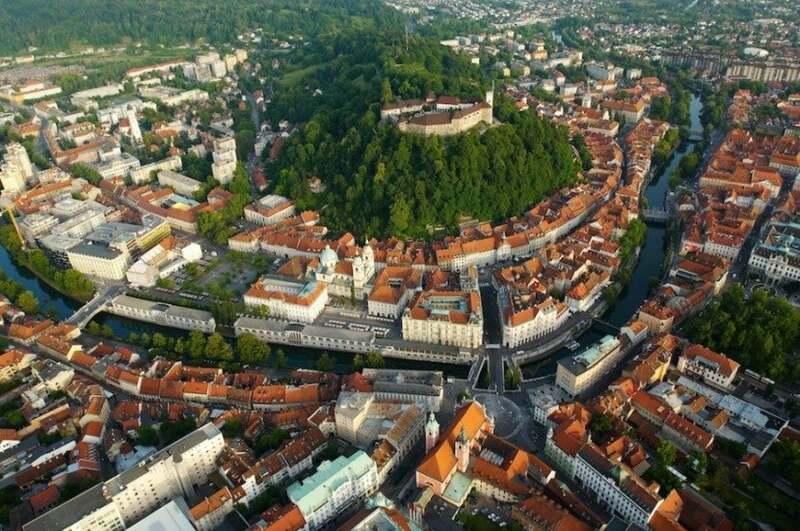 The capital, Ljubljana, is a red-roofed jewel box of a city with architecture dating from the Middle Ages, though the Renaissance and the Baroque periods also play leading rolls, and there are some magnificent modernist edifices from the early 20th century. The mountain-fringed vineyards of Slovenia’s Goriska Brda region. Image by Ales Fevzer, courtesy of Slovenia Tourism. The country also has a dynamic and evolving food and wine scene. 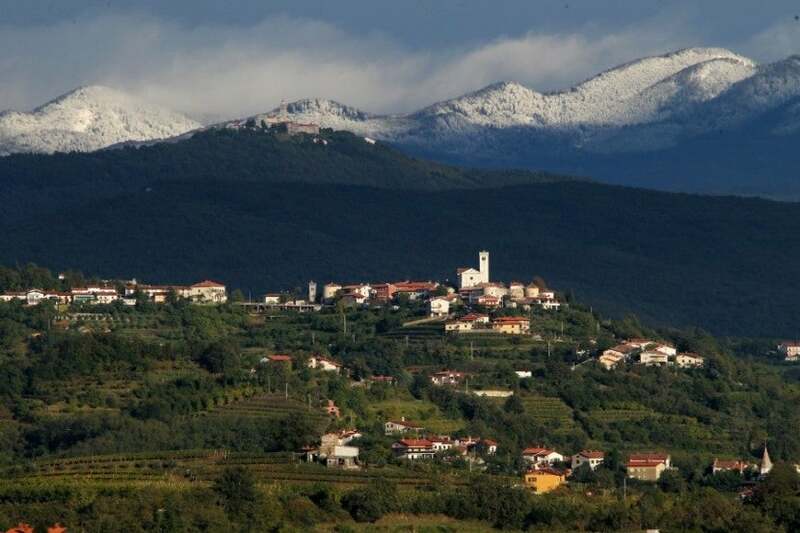 In the west, you’ll find famous winemaking regions like Goriska Brda, while out in the country, there are upscale auberges like Hisa Franko, where much of what goes on the degustation menus comes from within mere miles of the inn. All that, and prices are a mere fraction of other European destinations. There are connections to Ljubljana from several major European hubs, as well as other smaller destinations on carrier Adria Airways, which is part of Star Alliance. Now’s the time to visit Australia thanks to a strong US dollar. 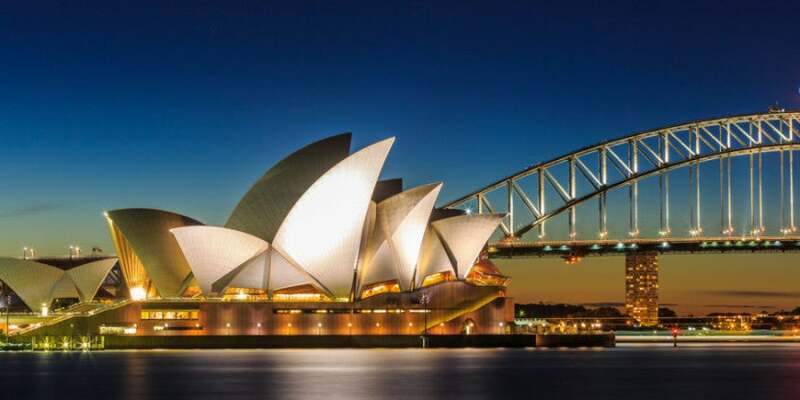 Australia perennially ranks high on top destination lists, but now’s a better time to get down there than ever thanks to a strong US dollar and favorable exchange rate, not to mention new flights on American from Los Angeles to Sydney and Qantas from San Francisco to Sydney. 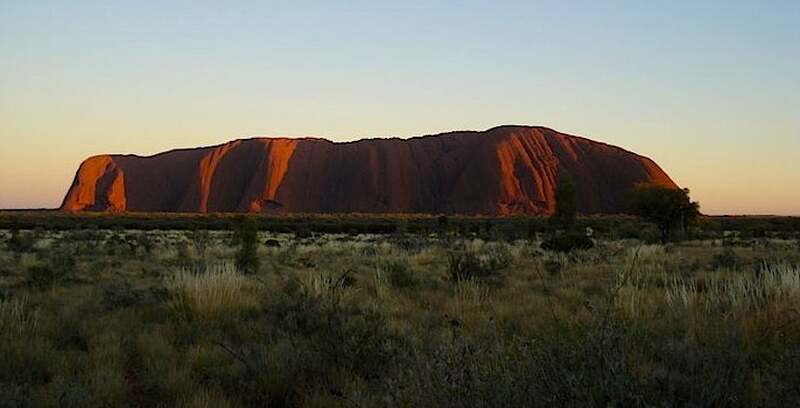 See some of Australia’s most famous sights, including mystical Uluru in the Red Centre. While your first trip might involve stops in Sydney, Uluru and at the Great Barrier Reef, you should also consider a visit to cosmopolitan Melbourne and leave time for tasting in various wine regions like South Australia’s Barossa Valley and Western Australia’s Margaret River. Head to the Northern Territory to explore the wild landscapes of the Mary River Wetlands and Kakadu National Park, or head south to Kangaroo Island or the the untamed reaches of Tasmania. Getting to Australia using miles is easier than you think, and you can use Delta SkyMiles to fly Virgin Australia or British Airways Avios to book awards on Qantas, which are both great ways to get around once you’re there. The Mausoleum of Khoja Ahmed Yasawi in Kazakhstan’s ancient city of Turkistan. Image courtesy of Shutterstock. You might know Kazakhstan from Borat and the ensuing PR storm that named it home to the world’s largest population of wild wolves. But this enormous country (it’s the ninth-largest in the world in terms of landmass) has so much more to offer. The capital these days is ultra-contemporary Astana, but its old capital, Almaty, has a distinct ambiance that mixes European, Asian and Middle Eastern influences thanks to its location on the Silk Road trade routes. Its streets are lined with baroque-style buildings, and there’s a busy central market called the Green Bazaar for shopping, a gorgeous and colorful Russian Orthodox cathedral and an imposing Central Mosque. Charyn Canyon is known as the Grand Canyon of Kazakhstan. Image courtesy of Shutterstock. In the winter, you can ski the nearby mountains of Chimbulak (Prince Harry came here in 2014), while in summer, they’re perfect for hiking and biking. 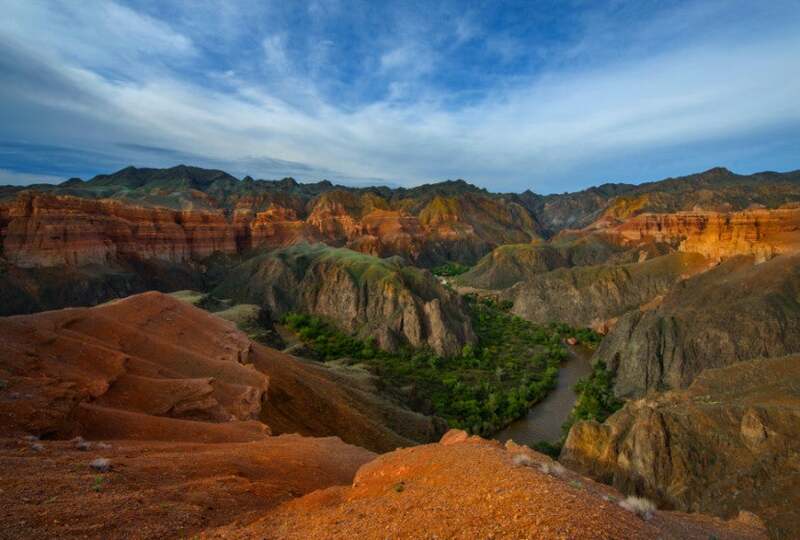 Outside the city, you can go all-terrain driving in Altyn Emel National Park and visit the singing sand dunes, or head to otherworldly Charyn Canyon, sometimes called the Grand Canyon of Kazakhstan thanks to its umber-toned rock formations. Take a horseback trek to the alpine Kolsai Lakes or to emerald Kaindy Lake where you can spend a few nights in a homestay in a traditional village. The ancient city of Turkistan (some estimates put it at more than 1,500 years) was a bustling metropolis on the Silk Road, and the monumental UNESCO World Heritage-listed Mausoleum of Khoja Ahmed Yasawi is one of the finest examples of Islamic architecture anywhere. Though still relatively inaccessible, it’s easier than ever to get to Kazakhstan with flights from various cities in Europe including Moscow, Frankfurt, Istanbul and Amsterdam, as well as Asian hubs including Bangkok and Seoul. Punta Arenas is the gateway to Tierra del Fuego and Patagonia. Image courtesy of Shutterstock. One of the most remote regions on earth is also one of the most accessible thanks to flight connections via Santiago and Buenos Aires. The gateway to both Tierra del Fuego (where you can get a special passport stamp) and Chilean Patagonia is Punta Arenas, the southernmost city on earth (though in season, you can also fly into Puerto Natales to reach Patagonia). From there, you can take in the Strait of Magellan, the windswept plains of Tierra del Fuego along with its peat bogs and hardwood lenga forests, as well as the famous Beagle Channel. Or go fly fishing on the numerous streams, explore the islands of the Tierra del Fuego archipelago and even board an Antarctic cruise. 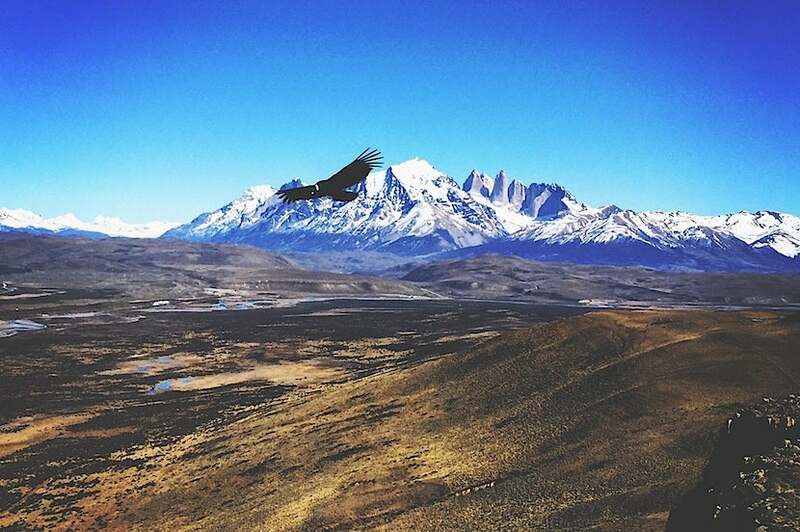 An Andean condor gliding over Torres del Paine National Park in Patagonia. Image by Eric Rosen. In the other direction, i.e. northeast, you can visit Torres del Paine national park and its glaciers, primordial lakes, scrubby plateaus with grazing guanacos (and maybe even a puma sighting), and scale the famous Torres del Paine rock formation. For a splurge, stay at the rustic chic Tierra Patagonia, which is lodged right inside the park with unparalleled views of the Torres. Cuba is opening up more and more by the day. Now’s the time to go! 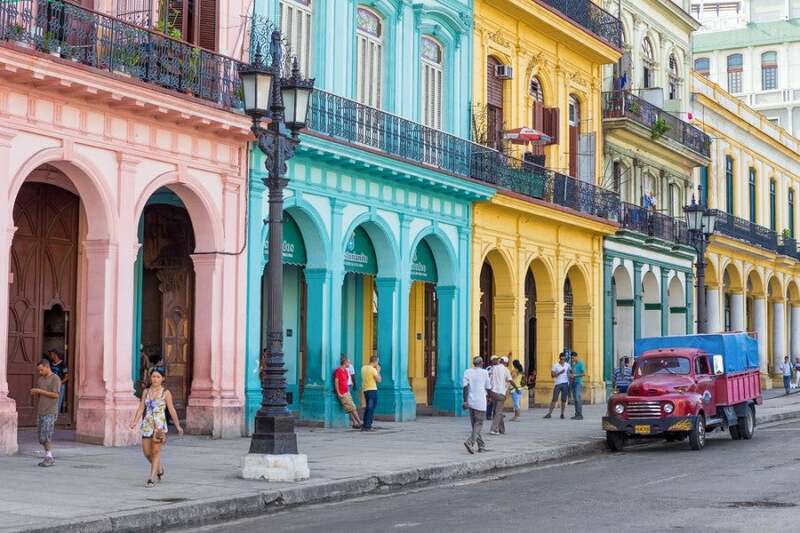 Since diplomatic relations resumed between the US and Cuba earlier this year, this Caribbean island nation has been on the top of everyone’s list as a must-visit destination. Unlike visitors from other countries, US travelers must get one of 12 different visas, none of which just cover a leisure trip, but are intended more for study or cultural visits. However, travel restrictions are expected to ease further soon, so that might not be the case for much longer. 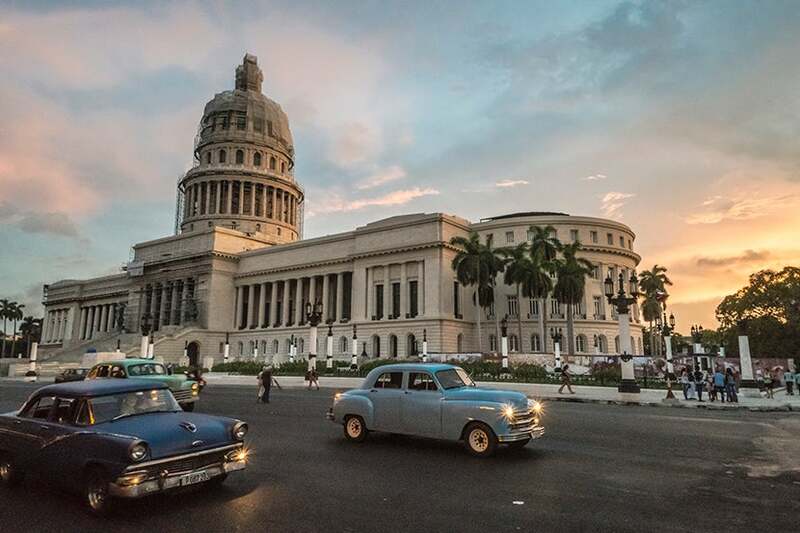 Traveling to Cuba is like entering a time warp. Image by Kofi Lee-Berman. That’s our list of must-hit destinations for 2016. Where are some of the places you’re eager to go? Tell us in the comments below!